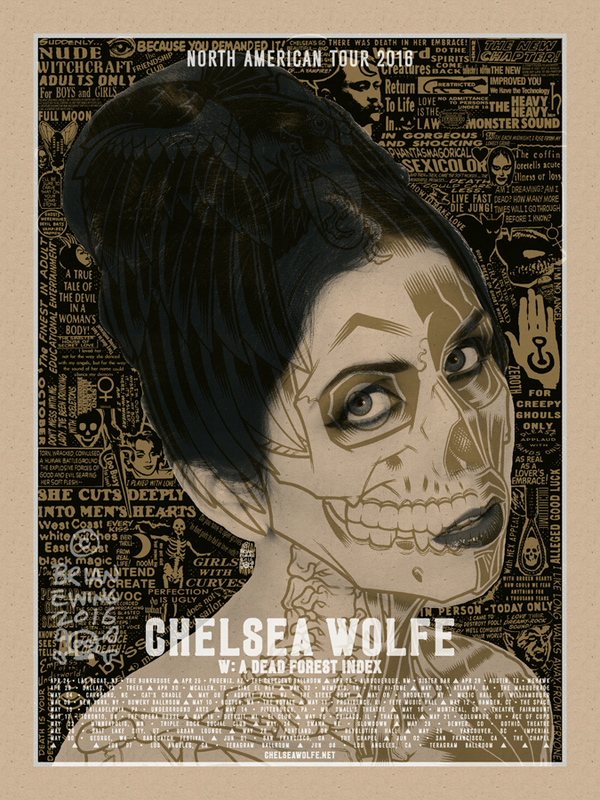 I love Chelsea Wolfe, you should too. This new tour poster by Brian Ewing is an 18″ x 24″ screenprint, has an edition of 75, and costs $40. There are also a few variants available. Visit BrianEwing.com.